Clothes are just so much nicer when they’re on display, right? It takes a little more time in the tidying department (something I’m really bad at admittedly), but it’s so worth it. 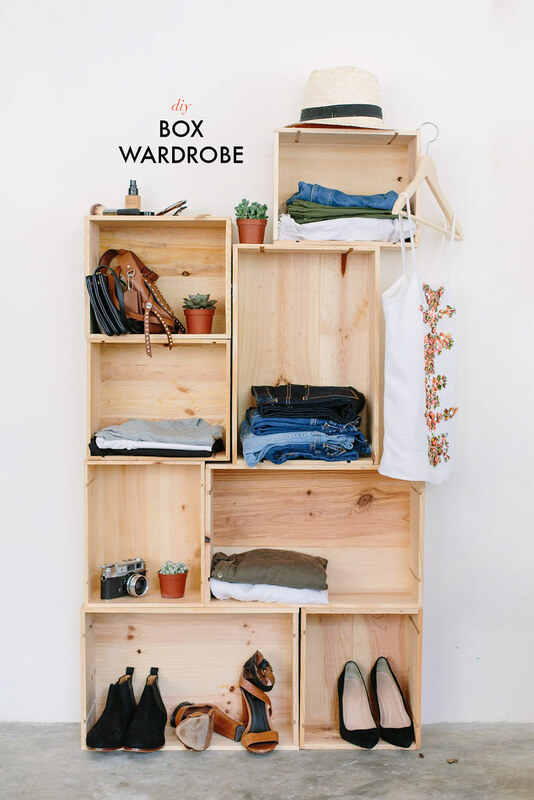 For those of you out there who maybe don’t have the space, or the spare change, to buy yourself a wardrobe, I’ve recently come up with an idea to make it oh so easy for you. 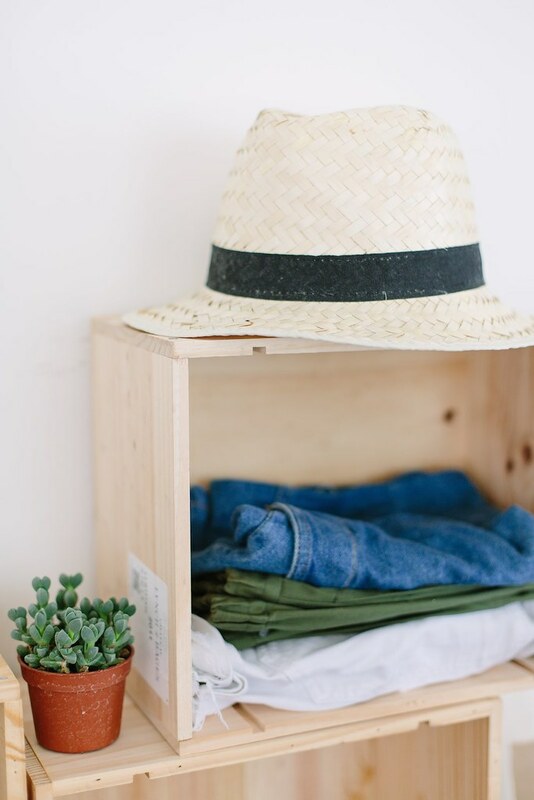 Read on to see how to make (ok, more like stack) this home furnishing. 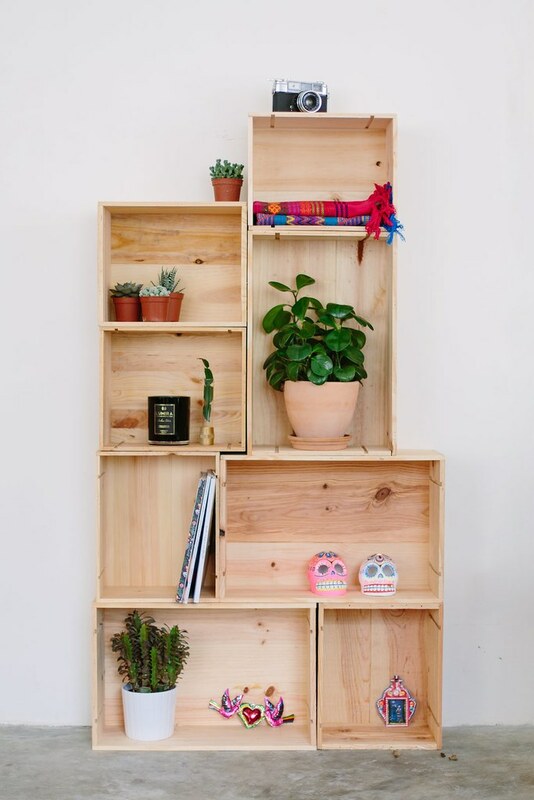 All you need to do this project is bunch of different wooden crates. We drink a lot so just used ones we had at home… I kid! We bought these for about $5 each, so it’s not an expensive project if you can find a nice wine man to sort you out. All you need to do is stack them up, pretty much however you want to. We decided to go tall rather than wide so it felt more like a wardrobe but it doesn’t really matter what you do. Easy! 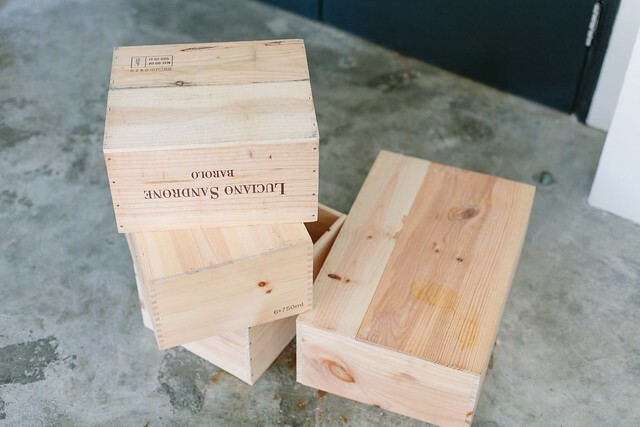 The weight of our boxes kept them nicely together, but if you think yours might fall over I would suggest clipping them together using bull dog clips. 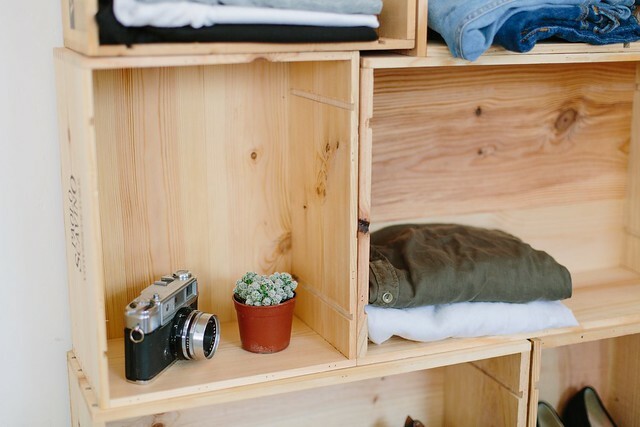 We also created a little overhang so you can hang a few items of clothing off. 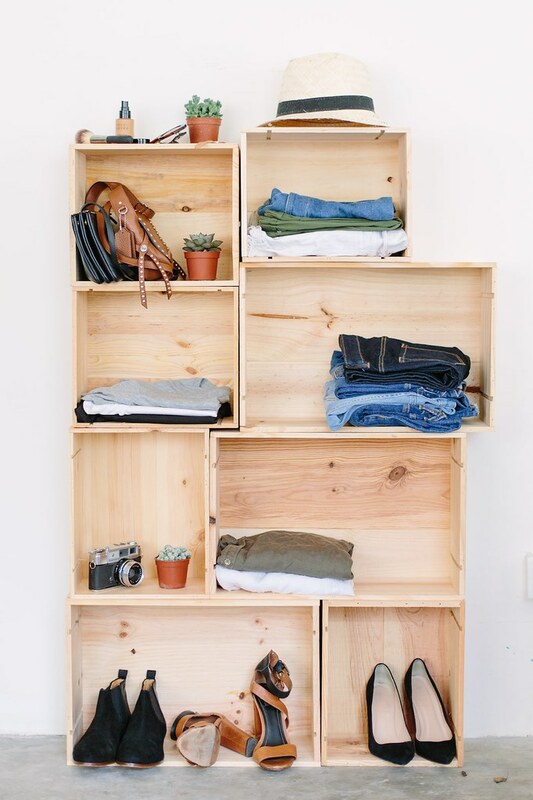 Obviously you can use your boxes as shelves instead of a wardrobe but where would be the fun in that? 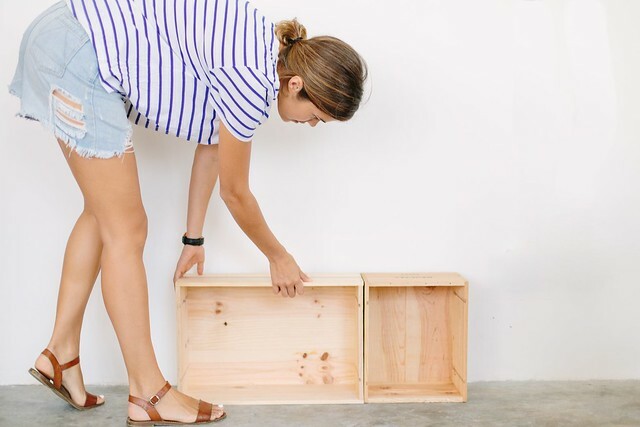 Love yourself some pretty DIY storage, check out this, this and this.